A strong User-Built system is BYO Bowls greatest asset that is currently unavailable in Hawaii. Guests will creatively build their own custom Stir-Fry, Fried Rice or Salad Bowl from a bountiful buffet where they will find a huge, nutritious, selection of fresh produce, exotic noodles & rice, dressings and flavored oils. Once guests build their own unique one-of-a-kind masterpiece, they will move to the open display kitchen where they will hand over their filled raw bowl to the BYO Bowls Kitchen Team. Here the guest is offered a choice of protein (standard or organic) as well as one (or more) of our enticing variety of finishing sauces. Our BYO Bowls Chef will then prepare each individual creation on our open "Yakiniku" style grill. 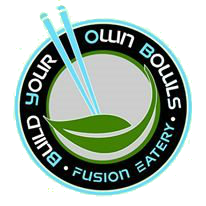 BYO Bowls will also take advantage of the huge trend in Custom Poke Bowls by offering a Custom Poke Bowl Station. Guests can proceed directly to this station and have our BYO Kitchen Team assemble a made-on-demand Poke Bowl precisely to our guest’s desires. Choose from Ahi, Tako or Tofu and mix in your choice of sauces and fresh ingredients. Place on top of Sushi Rice or Brown Rice and top with an assortment of delectable options such as Furikake, Nori, Fresh Ginger and Creamy Sriracha Sauce. vegetables and butcher quality meats cooked right to perfection in front of them in an open style kitchen.